Could anybody have really seen this one coming? I mean, we were hoping and rooting for it, but I don’t think anyone could honestly guess that Marvel could turn a comedic space opera starring a bunch of C-list comic-book characters into one of the most successful movies of 2014 ($770 million worldwide box office so far). And Guardians had the added bonus of being not only a huge commercial success, but one of the most purely entertaining movies in ages. 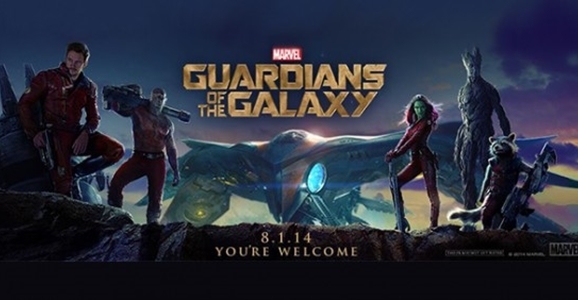 From the snarky marketing campaign that declared “You’re welcome” months before it hit theaters, Guardians wore its underdog status proudly and unapologetically knew exactly the sort of movie it wanted to be. As a result, we got a rip-roaring, space-faring, flat-out hilarious adventure that had people throwing out comparisons to Star Wars and Raiders of the Lost Ark. It’s everything popcorn entertainment is meant to be, and it’s neck-in-neck with Edge of Tomorrow for the most fun I had in a movie theater in 2014.